Today because it was cold and I felt I needed a break I treated myself on the way home to a trip to Kmart. Kmart is always fun. I always start out the same way, walking in without a cart and figuring I can always get a cart later. I always end up needing one and going back. Today that happened to me when I found jar pumpkin pie spiced candles for $1.50. They were these big candles and I am allowed to burn candles when they are in a jar. Something like six of them were left and being a piggy Buffalonian I had to buy all six. Go back to Start! Do not collect $200 but do collect a cart. Other things I scored at Kmart: 25 cent packages of index cards, 100 cards a package. I bought two but you know what, I might go back and get more. I burn through huge numbers of index cards in my Pennario project. I have these files that go back to when I was in California with him. They are still in the same boxes and I keep stuffing more and more cards into them. There is one card sticking out of the box right now that I am looking at: "1952, 9/12, Letter from Vengerova." Isabella Vengerova was one of Pennario's teachers. There are a couple of cards after that about Capitol recording sessions and then you get this card: "1952, November. 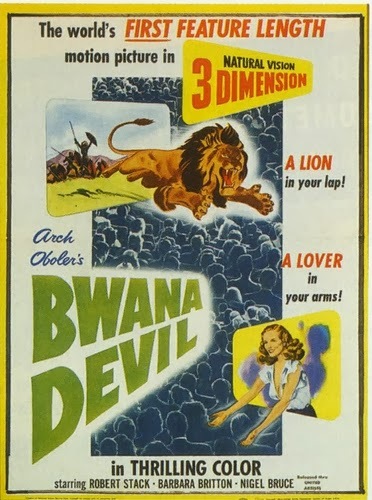 'Bwana Devil.' First feature-length 3D movie." Why that is important is a long story and you will just have to wait for the book. Lucky for me I am not writing about some boring pianist, is all I can say for now. Anyway, index cards. Evernote has nothing on them. I have 200 new ones now and might go back and get more. I also got a couple of packages of pencils for a quarter each. I put a pack on Howard's desk as a surprise. I like getting him office stuff. And, oh yes, I got a cell phone charger. That was what I went in for! I went into Kmart just for that and I came out with all of this.